We had a very eventful futsal season. 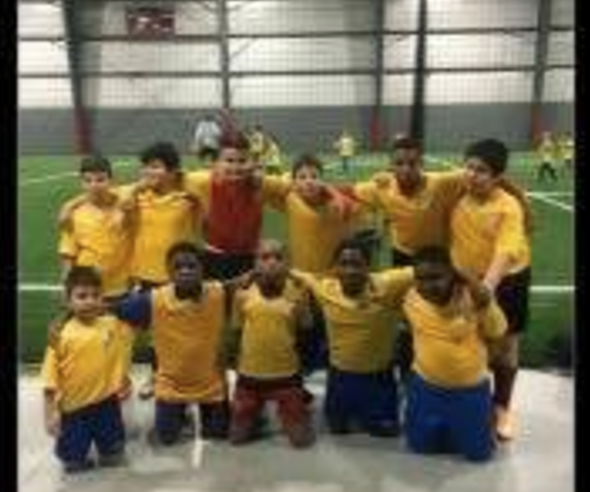 Our U11 team placed 6th in their league. The U12 had an extremely exciting season, losing in the semi-final by just one goal and placing 5th in their league. Our U14 team also had quite a season, finishing 6th out of 12. However, the most nail biting moment of the season came in a U15 game, when they lost in the second round by one goal scored in the last second of the game. Our U16 and U18 teams, both, had strong showings, finishing 8th/16 and 4th/9 respectively. With the Futsal season over, we have even more things to look forward to, most notably the recent hiring of a Director of Soccer, David Magee!